A young geologist is called to investigate to a nyumbani where paranormal phenomena occur due to extreme thermal swings. Once settled in, the researcher will find himself caught in a spiral of horror and madness from which there may be no escape. 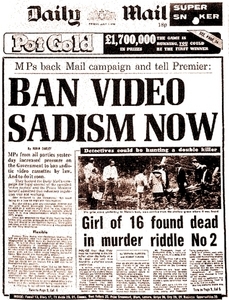 Which one of these IS a "video nasty"? Multi-Horror | Let The Bodies Hit The Floor HAPPY Halloween 2017!